Anne Pharamond is our champion of champions and herder of cats. Her ability to think circuitously while looping things back to the fundamental problems that need to be solved, makes her an asset in any room and a valuable project manager. A native French speaker, Anne spent her graduate school summers as the Teaching Assistant for the Study Abroad Program in Paris and has been involved with the Denver Architectural Foundation's CAL Program since 2004, bringing Architecture into Denver Public Schools as a method of connecting young students with their built environment. Anne is a licensed architect who has been practicing in Denver since 1998. Most of her career has been spent in public architecture, focusing mainly on libraries, education and healthcare facilities. Anne has a Bachelors of Science in Marine Biology from the University of South Carolina and a Masters of Architecture from the University of Colorado at Denver. 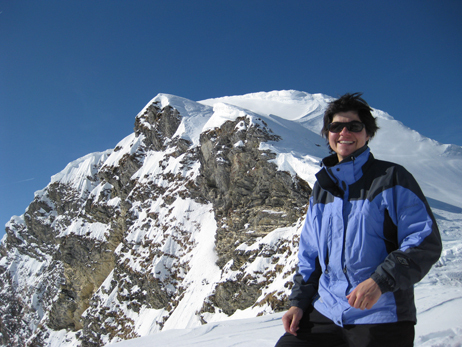 Anne is also an avid skier and cyclist and is most proud of her recently acquired skill of rolling a kayak!